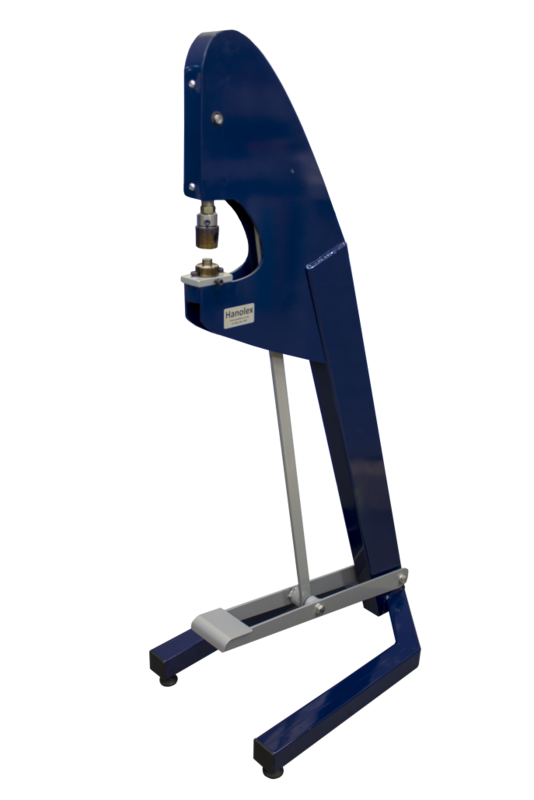 A value for money range of machine helps take the strain out of eyeleting, the foot operated mechanism leaves both hands free to position the eyelet and hold the work piece. For specialist applications the machines can be customised with stops and other fixtures to accurately hold the work piece in place. The FPX1 is capable of setting any eyelets with a hole size when closed up to approx 16.00mm (32 sail or 4 Grommet etc. ).